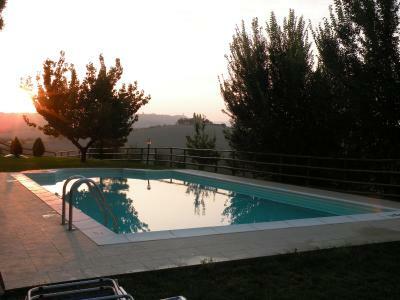 Lock in a great price for Agriturismo Bonello – rated 9.3 by recent guests! 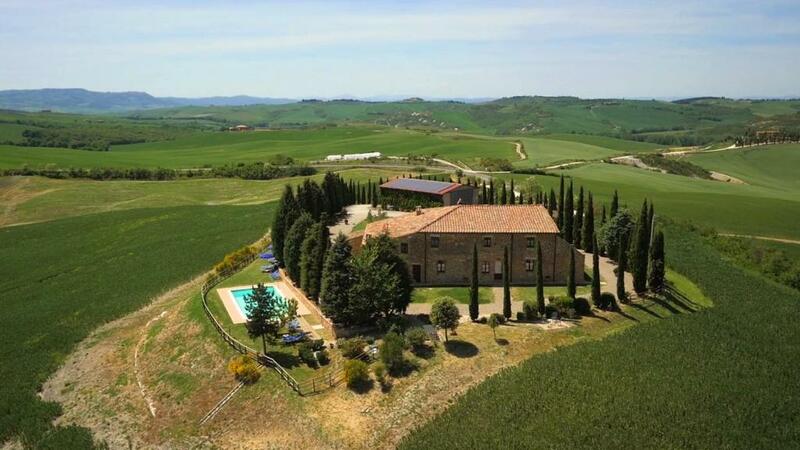 Gorgeous setting overlooking beautiful countryside. Convenient to many pretty towns in the area. Lucca was a great host with good tips on what to see and do. Quiet. Nice breakfast (optional for a bit extra). 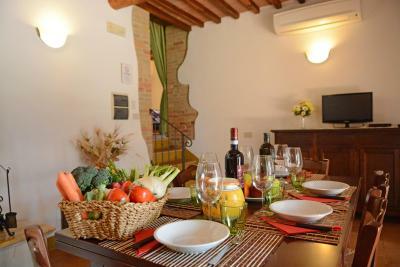 Firstly I would like to appreciate the host Mr. Luca, for making our stay comfortable. It was a mesmerizing stay in a scenic location under good price, didn’t expect until reaching the prem ises. 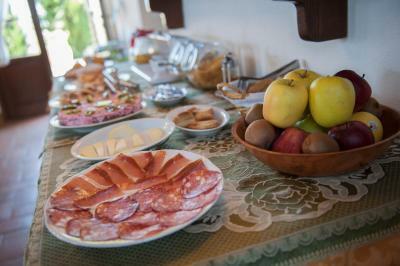 Also had a nice breakfast with homemade cakes and jams. Yes, it was our best stay in my 20 days trip in Europe. Very lovely! 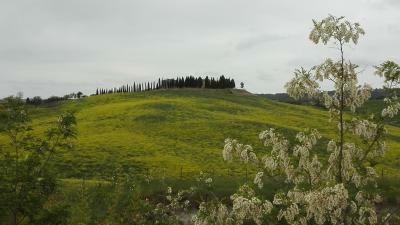 We stayed here during a mini road trip through the Val D'Orcia from Florence. Very comfortable room, amazing views, and super breakfast. 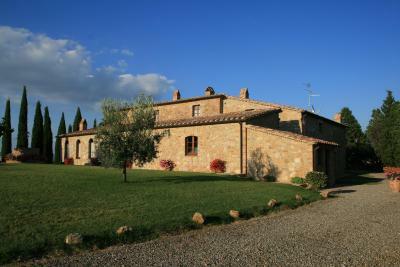 Great location between Pienza and San Quirico. 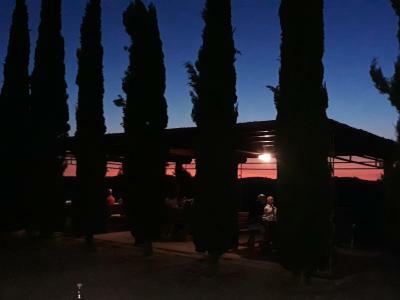 We found an amazing bar in Pienza called Idyllium - about a 5 minute drive from Bonello, also highly recommended, and enjoyed a lovely time visiting nearby sights (Terme San Filippo, Bagno Vignoni, lunch in San Quirico, Montalcino, etc.). 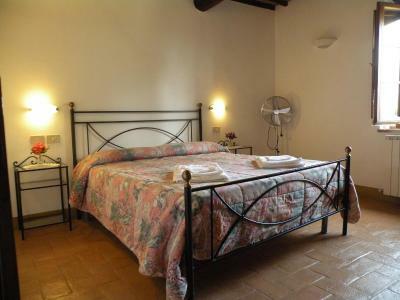 Highly recommended for a charming, comfortable and picturesque stay! 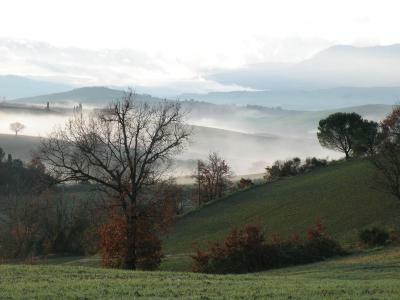 The setting for the agrotourismo is pure Tuscany. 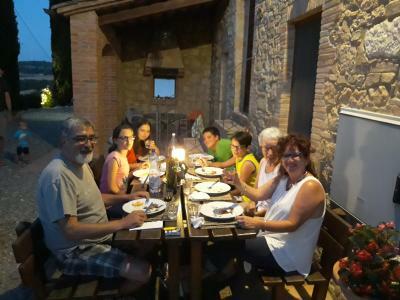 It is very conveniently located between Pienza and San Querico so we were able to easily get to grocery stores, laundromat, cafes and restaurants. We ate twice with other guests in the main dining room and I was very pleased that the owner was able to accommodate a gluten free diet. 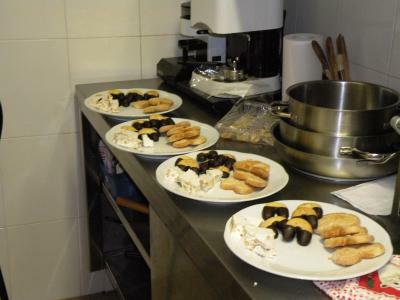 The food was great and plentiful as was the wine that was served. 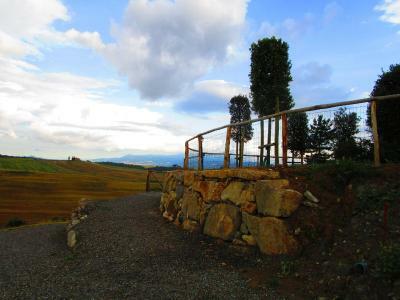 Well located, bikes available to explore small roads, good recommandation from host for hiking and biking, the pool was very appreciate, AC available if needed, try the local beer. Fantastic location for sunrise and sunset photography in the area. beautiful farm house with good location and price. a perfect site if you drive on your own. 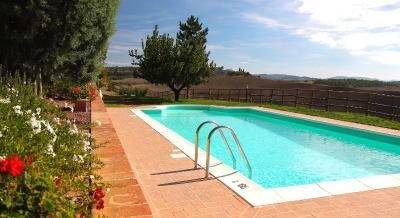 We had very pleasant stay in this stunning villa..everything was clean and well prepared for our arrival! The hosts were nice and welcoming. 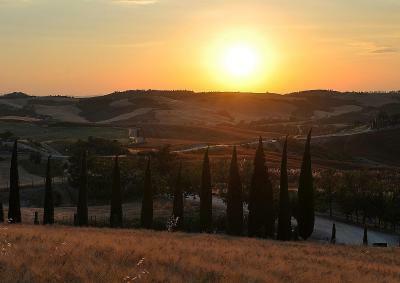 We opted to enjoy the dinner at the villa which the owner's wife makes and was amazing Tuscan dinner experience! We loved every dish and the recommended wine was great! Overall very romantic and beautiful day in nature surrounded with vineyards! HIGHLY RECOMMENDED! Great stuff. They gave great information and recommendations for the traveling the area. Spacious rooms and great view. 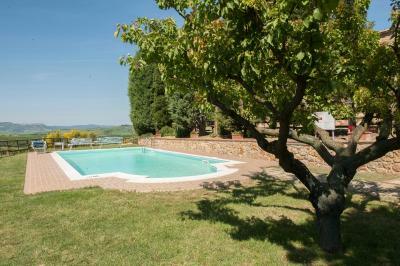 Agriturismo Bonello is a historic farmhouse set in the Tuscan countryside outside Pienza, with views of the Val D’Orcia nature reserve. 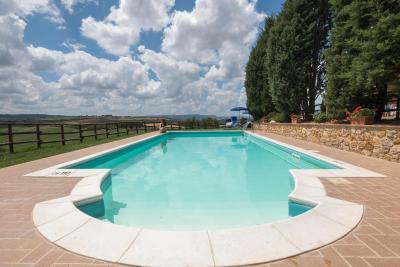 It offers self-catering apartments and rooms, and an outdoor swimming pool. 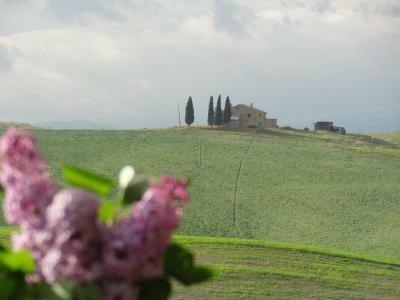 The Bonello dates back to the 18th century and lies on the scenic road from Pienza to San Quirico D’Orcia. 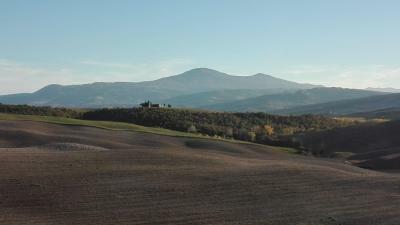 The property offers free parking and is a short drive from Siena. 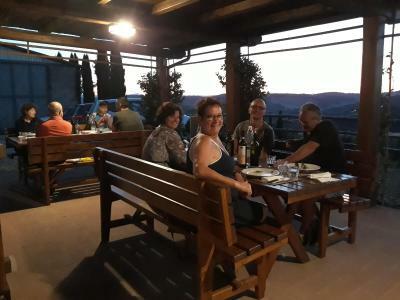 The restaurant offers simple dishes characteristic of the Tuscan tradition, prepared using vegetables from the family garden, and meat and wine from local producers. During summer meals are served in the garden. 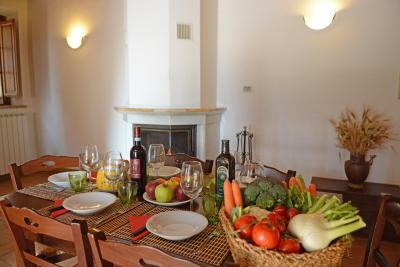 Apartments come in different sizes to accommodate up to 6 guests. Each comes with centralized heating, a private bathroom, and fully equipped kitchen. 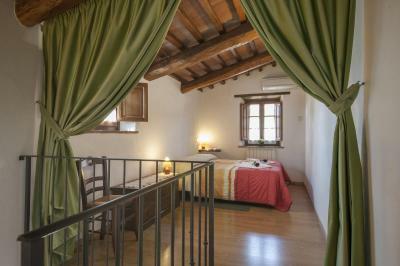 When would you like to stay at Agriturismo Bonello? This spacious and rustic-style apartment is composed of 2 bedrooms, 2 bathrooms, and a living area with a fully equipped kitchenette. Cleaning and change of linen and towels has a weekly frequency. Daily service is available at an extra cost. This comfortable and rustic-style apartment features a fully equipped kitchenette with dining area and an private bathroom. Cleaning and change of linen and towels has a weekly frequency. Daily service is available at an extra cost. 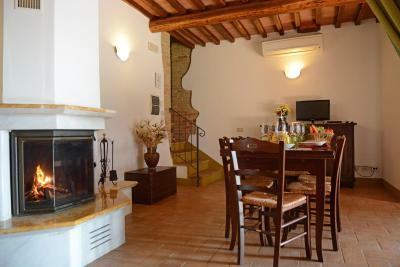 This very spacious and rustic-style apartment is composed of 3 bedrooms, 2 bathrooms, and a large living area with a fully equipped kitchenette and a fireplace. Cleaning and change of linen and towels has a weekly frequency. Daily service is available at an extra cost. This rustic-style room features an private bathroom. Cleaning and change of linen and towels has a weekly frequency. Daily service is available at an extra cost. This spacious air-conditioned suite has a living area and private bathroom. Use of the Turkish bath, spa bath and fireplace are at extra cost and should be requested in advance. 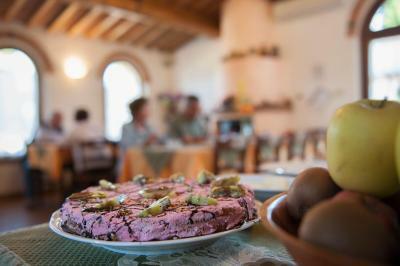 House Rules Agriturismo Bonello takes special requests – add in the next step! 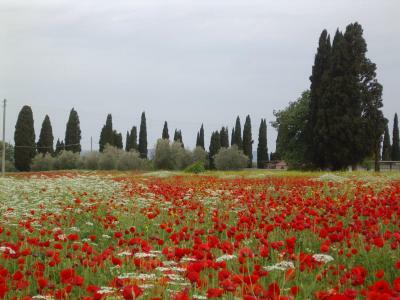 Agriturismo Bonello accepts these cards and reserves the right to temporarily hold an amount prior to arrival. Air conditioning is available at extra costs. Please note that the restaurant and the spa facilities must be booked in advance. The restaurant is open for dinner on Fridays and Saturdays only. 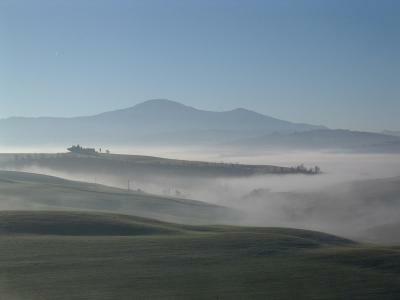 Please inform Agriturismo Bonello of your expected arrival time in advance. You can use the Special Requests box when booking, or contact the property directly using the contact details in your confirmation. 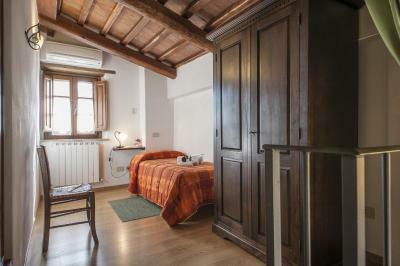 Fantastic location, lovely room, amazing relaxing athmosphere. Waking up in the morning with such a view is refreshing! 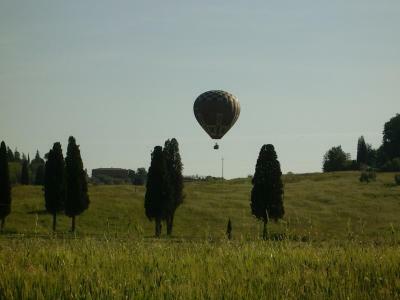 The location is perfect to travel the surrounding areas and cities/town. Really loved the figs jam at breakfast! Nothing to improve! We loved it just as it was. In the one bedroom apartment that we had booked it would have been nice to have a small couch or a couple of armchairs to relax in. But other than that the place was very well fitted out for a one week stay. I can't think of anything that could have been better. It was perfect and more. Lucca, his family and staff were wonderful hosts. Helped us with hiking in the area, recommendations on restaurants, directions - everything was perfect. 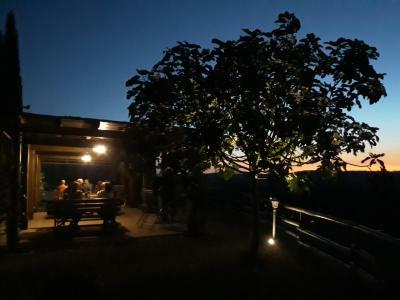 Restaurant experience at the Agriturismo on the Friday and Saturday evening was delicious. Breakfast was timely and delicious. 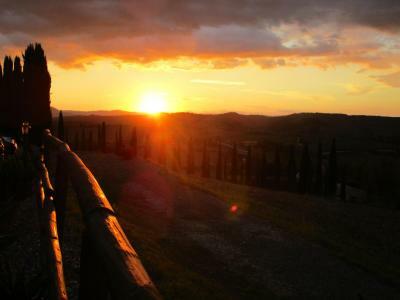 We will return when we visit Italy again. The rooms are spacious and private. I was traveling with my sister and her husband. We had plenty of privacy from each other with 2 large bedrooms and a kitchen. 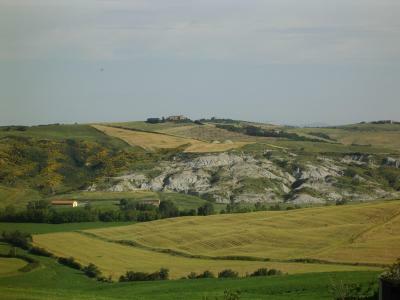 The beds were comfortable and the views from the room are picturesque. 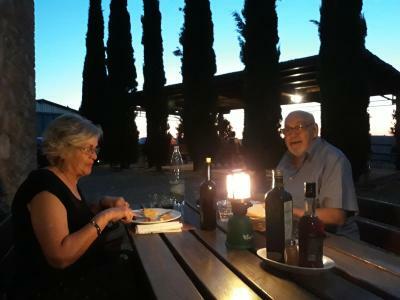 It is a quiet county setting within 10 minutes of 2 lovely little towns for dinner options on evenings the Agriturismo does not serve dinner. 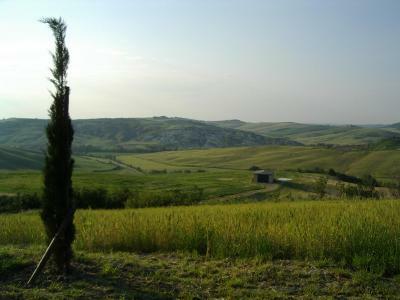 The setting of the Agriturismo is beautiful. 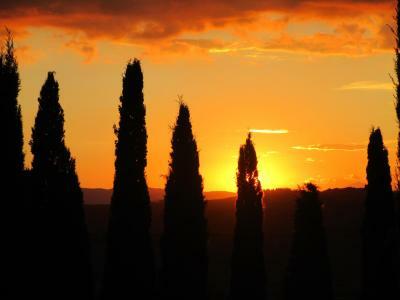 Total Tuscan experience. The location is perfect for exploring little towns within a 40 minute radius. We were there for 6 nights and still hadn't explored the whole area. We were sad to leave. It was perfect - incredible view and we even got an upgrade from a standard room to the suite from the owner for the same price - exceptional! Thanks again, Luca!!! When I made a reservation I got an extensive list of rules to follow which I didn't like. There is ac in the room but it is extra that you pay on top. If you want your room cleaned it is extra on top, no one even takes out trash. 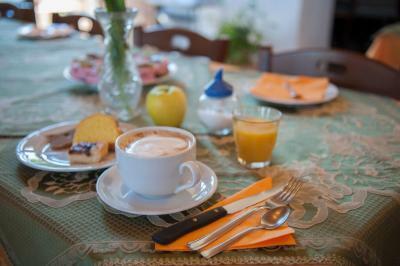 Breakfast is tasty but served in a way that you have to compete with others for food. There are couple pieces of meat or bread and it is not that you will not get them it is just that you always end up waiting for refilling and if there is just one person working in the kitchen and ma y guests this takes time. Luca runs a great business. Everything is spotless, pool, gardens, rooms, restaurant.